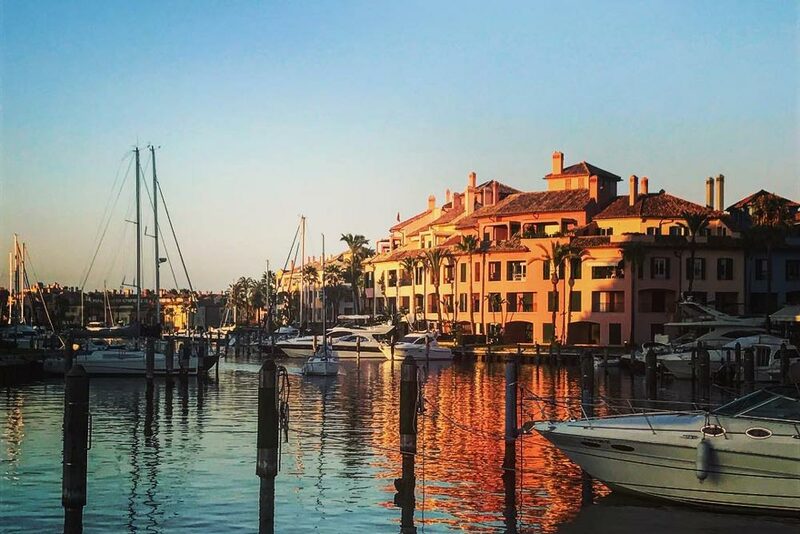 As exclusive as the whole area of Sotogrande is, Sotogrande Marina (or Puerto Deportivo de Sotogrande) is at the centre of it all. The impressive collection of yachts will make you stop and stare. You can do so while enjoying the number of restaurants and boutiques lined up along the harbor. Recognized as one of the most beautiful, the Sotogrande Marina property selection is surrounded by everything that prime second home buyers desire. Sotogrande marina property market consists mainly of apartment complexes. The average price for a Sotogrande apartment for sale is Average price per sqm. in Sotogrande Marina €2,850 0% properties#: 397 last change on: 23 Apr 2019 €2,850 per square meter, while prices for houses hover around Average price per sqm. in Sotogrande Marina €2,954 0% properties#: 21 last change on: 23 Apr 2019 €2,954 per square meter. For investment opportunities, you can expect Average price per sqm. in Sotogrande Marina €3,904 0% properties#: 23 last change on: 23 Apr 2019 €3,904 per square meter. Next to villas and houses, the most luxurious are Ribera del Marlin properties consisting of duplex apartments and penthouses. There is a premium value for properties with a sea view. The most active agencies on Sotogrande Marina property market are Teseo Estate with more than 110 listings, followed by John Medina, Sotogrande Living and Sotogrande Home. Situated at the eastern entrance of the Strait of Gibraltar, the marina has a privileged location. It is just a stone-throw from Gibraltar International Airport, which you can get to in thirty minutes. International Airport of Malaga is approximately a one hour drive away. There are two high-quality Blue Flag awarded beaches around the marina. On the east of the harbour is Torreguadiaro beach (or Playa de las Conchas) and Cala Sardina. Sotogrande is practically synonym of leisure. 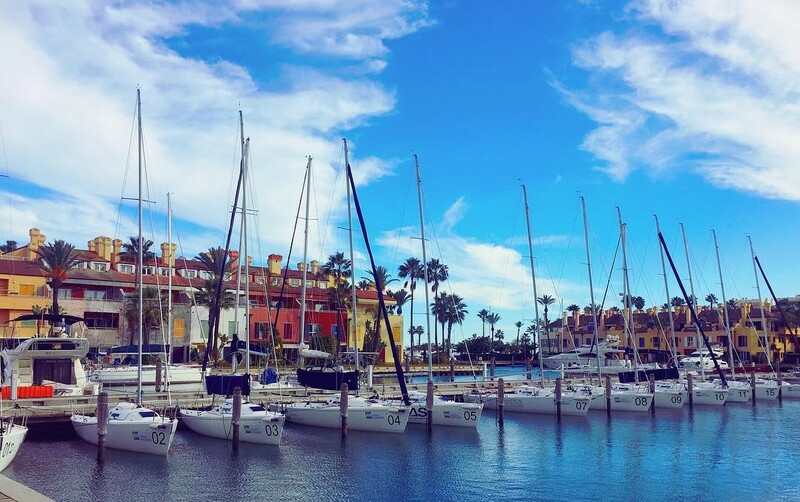 During summertime, the marina is a home for the world sailing elite. Next to many prestigious world class sailing tournaments, you’ll find here a number of yachting schools accredited by Royal Yachting Association, providing all the required amenities. 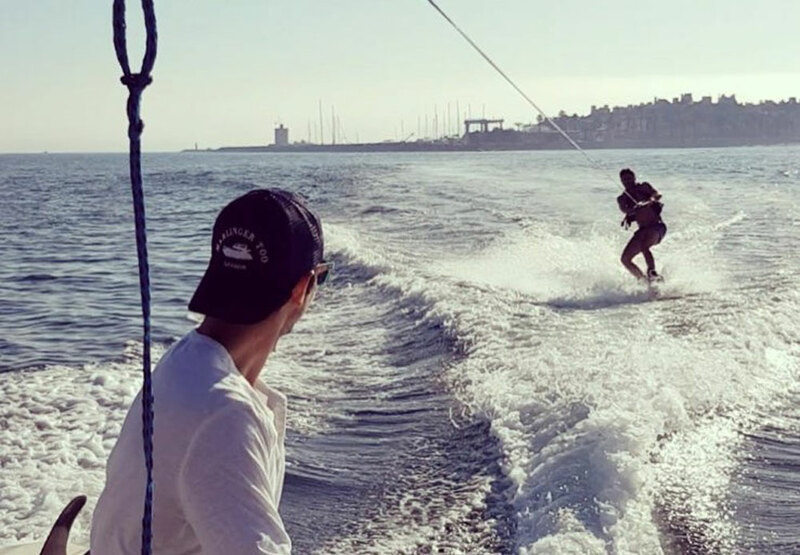 In the long list of relaxation activities, there is an option for kite surfing, wakeboarding, jet-skiing or diving. If you would want to switch the focus of joy on the ground, there is a SotoTennis Academy in the harbor. Just across the Guadiaro River, you’ll find an exceptional Real Club de Golf Sotogrande. Situated in the coastal part of Sotogrande with an expanse of 6,500 sq. metres, this fairway is built right above the beach and retains the natural beauty of the land. Apartments with a privileged view of the fairway have an extra value of 35% on the top of the average selling price. Called “the Wimbledon of Polo Pitches”, the grounds of Sotogrande have a long tradition in polo. Sotogrande’s finest and the world-famous Santa Maria Polo Club is situated in a triangle between the marina, Guadiaro River, and A-7 highway. Throughout the whole year, the club hosts players from all over Europe, who come here to enjoy the high-quality game and incomparably pleasant climate of Andalucia. There is a great selection of restaurants in the marina, offering traditional local cuisine as well as specialties from all over the world. The quay of the La Ribera del Marlin is the liveliest part of the port. Here, both residents and visitors enjoy fresh drinks while listening to live music. The views of the yachts and the sea create a unique scenic atmosphere. La Ribera del Marlin also hosts a number of markets throughout the year. Here, you’ll find a craft market, a night market, and a vintage market. The biggest event in the quay, Mercado del Levante, takes place on summer evenings, offering gourmet food stalls, vintage food trucks, cocktails, and live music. In the heart of one of the most upscale developments in the south of Spain, Sotogrande Marina is the place to be. A wide selection of various leisure activities, beautiful surrounding beaches, high-quality restaurants and bars with idyllic views of Mediterranean will surpass your expectations. Sotogrande Marina property buyers will enjoy all the perks the area has to offer and more.